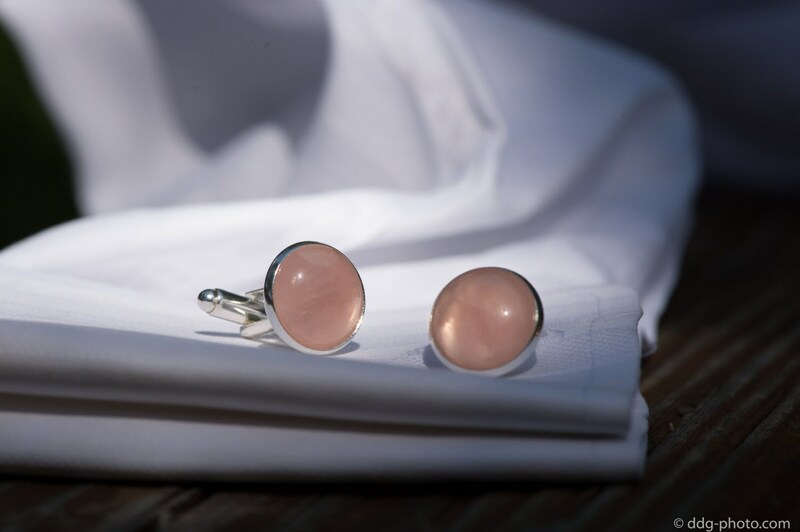 Rose Quartz Love Cufflinks promote love, peace and harmony. Rose Quartz removes blockages from the heart so you could draw new love into your life. The balancing properties of rose quartz help you live and lead with love. Rose Quartz is the crystal companion for the hopeless romantic who lives in a state of harmony and love, always believing in all that is good. ✦ to fill you with a loving energy so you could, in turn, attract love, whether its romantic love, greater love between friends or being more loving toward yourself. 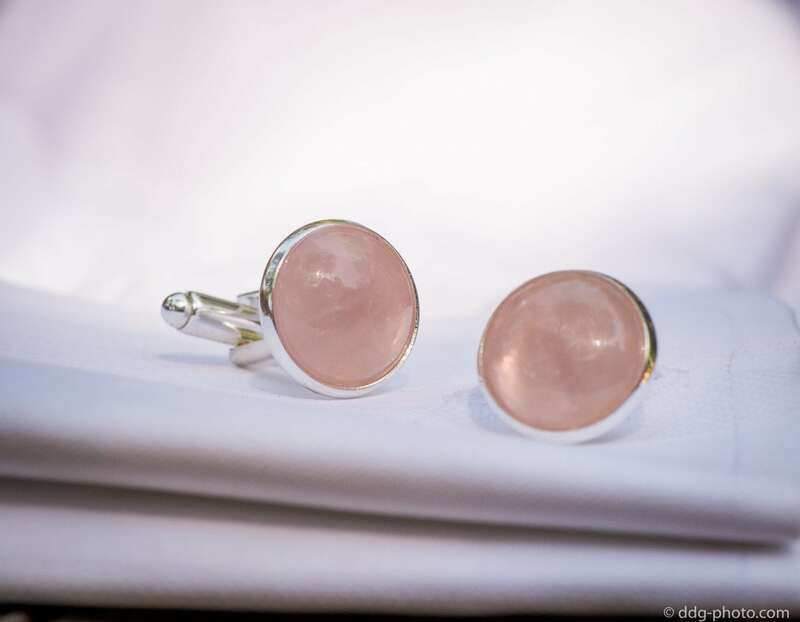 Rose Quartz Cufflinks come ready for gift giving in a unique cufflink box. Use the drop down menu to choose your setting: sterling silver (925), gold plated sterling silver, rhodium plated sterling silver, rose gold plated sterling silver, silver plated, gold plated or stainless steel. The stones are 5/8" diameter. Can't wait to give these to my husband! I love these cufflinks. Well made, beautiful, matched stones. Stephen outdid himself to meet my needs. Thanks again for a great purchase.